Graduate education is more important than ever in today’s knowledge-driven economy; it creates opportunities for next-generation research which is fundamental to economic growth and environmental sustainability. Appointed Dean of Graduate Studies in 2015, Langis Roy, PhD, is passionate about shaping the university’s graduate program portfolio to enhance collaborative research capabilities among students, faculty and industry. Formerly Carleton University’s Associate Dean of Planning in the Faculty of Graduate/Post-doctoral Affairs, Dr. Roy led strategic enrolment to achieve the Ottawa, Ontario institution’s highest domestic and international enrolment in 2014-2015. 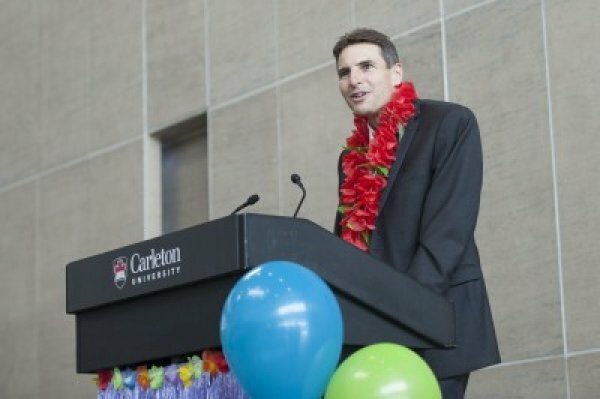 In that role, he developed and implemented Carleton's international Cotutelle Policy, which allows doctoral students to complete program requirements while jointly enrolled at two universities. During his 15-year tenure, he held appointments as an Associate Professor, Professor, and Chair in the Department of Electronics, while guiding the research success of nearly 50 graduate students, many of whom received prestigious awards. 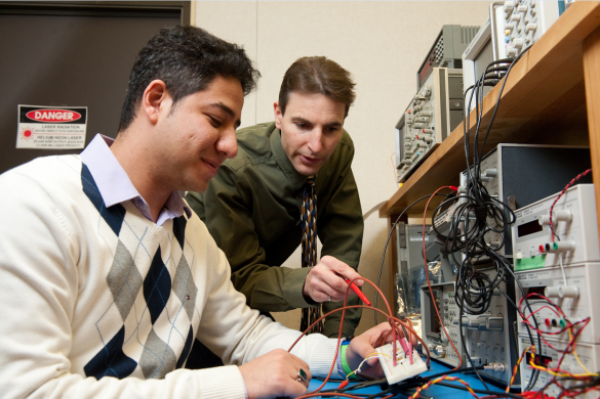 An international wireless technology expert, Dr. Roy applies sensing and communicating electronic devices to innovative component-level and system-level integrated solutions, particularly for the biomedical and aerospace industries. Equipped with a proven track record of collaborative and cross-disciplinary research work, he aims to improve current products and processes with embedded intelligence and enhanced functionality. Remarkably, Dr. Roy and his research team have developed the world’s first on-chip antennas using commercial CMOS silicon, and are global leaders in the in the development of system-on-package LTCC componentry for microwave and mm-wave wireless applications. His research has extended to THz biosensing and wireless power harvesting. 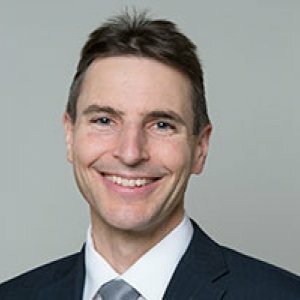 Dr. Roy earned his Bachelor of Applied Science in Electrical Engineering at the University of Waterloo, Ontario in 1987; and obtained both his Master of Engineering and his Doctorate in Engineering from Carleton University in Ottawa in 1989 and 1993, respectively. He completed a post-doctoral fellowship at Université de Toulouse in France and became an Assistant Professor at the University of Ottawa. An Invited Professor in Finland and France, Dr. Roy has established leading international research partnerships in wireless and sensing technologies. Appointed to this role for a two-year term from 2017 to 2018, Dr. Roy is committed to the promotion of graduate education and university research through meetings, publications and advocacy. CAGS brings together 58 Canadian universities with graduate programs and the three federal research-granting agencies, as well as other institutions and organizations with an interest in graduate studies. Dr. Roy has been appointed to this COU board for a two-year term from 2017 to 2018. The board is part of a year-long campaign to engage students and parents in province-wide dialogue about future economic needs across all sectors, and determine how universities can contribute to a brighter future for everyone. Dr. Roy has been appointed to the ACUIG for a three-year term, from 2017 to 2019. This multidisciplinary committee has broad experience in university-industry interactions. The ACUIG makes funding recommendations for large scale NSERC Collaborative Research and Development applications as well as Industrial Research Chair applications, taking into account the recommendations of site visit committees and external peer reviews. An appointed member of this committee from 2016 to 2018, Dr. Roy plays a role in evaluating and awarding Research Tools and Instruments (RTI) grants which foster and enhance the discovery, innovation and training capability of university researchers in the natural sciences and engineering (NSE). Awarded for his co-authored paper entitled, Wireless Interconnect Between On-Chip and LTCC Antennas for System-in-Package Applications, at the EuWiT conference held in Amsterdam, Netherlands. The University of Ontario Institute of Technology has named Dr. Langis Roy as Dean of the Office of Graduate Studies, effective July 1, 2015. Dr. Roy comes to the University of Ontario Institute of Technology from Carleton University in Ottawa, Ontario where he was Associate Dean (Planning), Faculty of Graduate/Postdoctoral Affairs (FGPA). A compact wireless sensor System on Package solution is presented, suitable for dosimetry for radiotherapy or other biomedical applications. A miniaturized, low power RF transmitter with a dual mode active on-chip antenna/inductor is disclosed in which antenna also serves as the oscillator inductor. Also disclosed is a miniaturized low power RF receiver with an on-chip antenna; and a RF transmitter system wherein an on-chip antenna is wirelessly coupled to an off chip patch antenna are disclosed. This invention provides methods and devices for accelerating or delaying an electromagnetic signal. 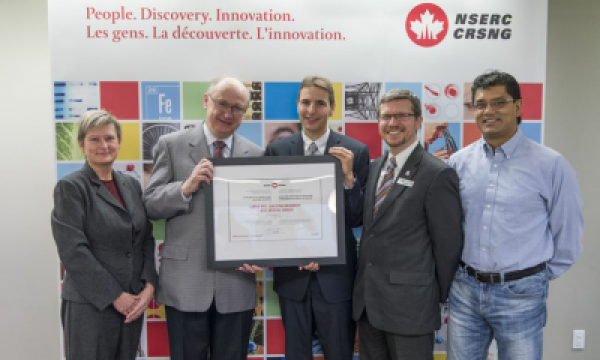 In collaboration with researchers at Montréal universities, Dr. Roy is a co-investigator on this three-year project within Consortium for Aerospace Research and Innovation in Canada (CARIC) program. Total funding for research is $400,000, with Dr. Roy receiving $27,000 per year. 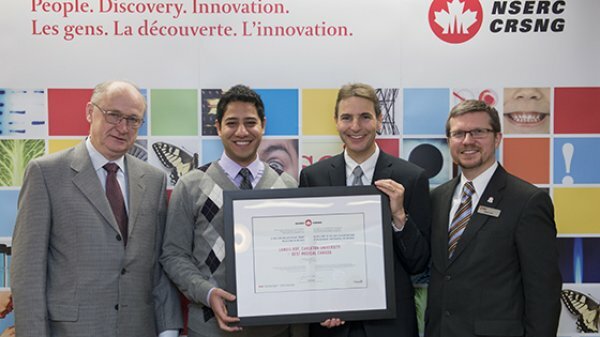 In partnership with Ottawa-based Best Medical Ltd., Dr. Roy and his research team have developed an advanced wireless sensor to precisely monitor and control X-ray administration to fully automate the blood irradiation process. Irradiating blood makes it safer for transfusion recipients, but blood sometimes has to be discarded if it has been over-radiated. Automating the process will reduce blood waste and costs. In this year-year project, Dr. Roy is using a novel approach to adapt technology based on IBM's 0.13-micron CMOS process from CMC Microsystems to create the tiny sensor. 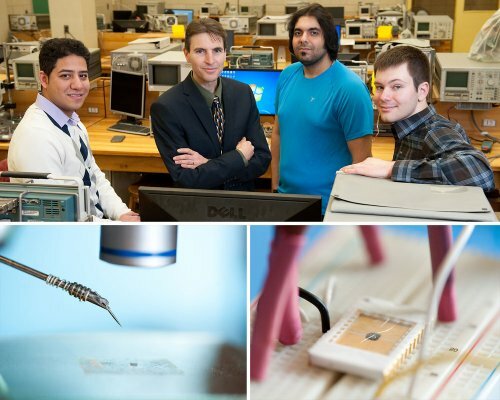 This five-year research project aims to develop novel techniques for affordable, millimeter-wave, portable, wireless communication systems and sensors. Notably, Dr. Roy led the largescale, multidisciplinary iAero research collaboration to develop intelligent aerospace systems and populate aircraft with advanced miniature, wireless sensors to collect real-time data and monitor the health of the structure. Early warning signs of equipment degradation can significantly improve flight safety and reduce equipment and repair costs. A novel low-loss programmable microwave waveguide is demonstrated, allowing reconfigurable microwave circuits with similar levels of programmability as that seen in field-programmable gate arrays. The waveguide is realized with a field-programmable microwave substrate (FPMS), consisting of small unit cells that can be individually reconfigured to have a range of positive dielectric constants or a negative dielectric constant. Programmable waveguides, amplifiers, and oscillators are demonstrated. The proposed FPMS concept promises a new era of programmable microwave circuit design for cognitive radio, the Internet of things, and self-healing/adaptive systems. Surface plasmon photodetectors are of broad interest. They are promising for several applications including telecommunications, photovoltaic solar cells, photocatalysis, color-sensitive detection, and sensing, as they can provide highly enhanced fields and strong confinement (to subwavelength scales). Such photodetectors typically combine a nanometallic structure that supports surface plasmons with a photodetection structure based on internal photoemission or electron–hole pair creation. Varactor diodes fabricated in 0.5 and 0.15 µm GaN HEMT (high-electron-mobility transistor) processes are modelled. The devices were characterized via DC and RF small-signal measurements up to 20 GHz, and fitted to a simple physical equivalent circuit. Approximate analytical expressions containing empirical coefficients are introduced for the voltage dependency of capacitance and series resistance. The analytical solutions agree remarkably well with the experimentally extracted C–V curves and can be used as a general model to represent the nonlinear behaviour of GaN-based varactors devices. This paper shows a study of a new ferrite low-temperature cofired ceramic (LTCC) circulator with integrated winding. The external magnets used in traditional circulators must be strong to overcome the ferrite's demagnetization factor. The novel circulator presented herein uses an embedded winding within the ferrite to magnetize the material from the inside, thereby significantly reducing the demagnetization effects. Because of the controllability of the bias field, the resulting device is also multifunctional: when the windings are energized by a current, the device operates as a dynamic circulator in which the circulation direction can be changed by switching the direction of the current. The proliferation of portable devices such as smart phones, tablets, and laptops has resulted in an increased demand for mobile broadband wireless, and with the expected growth in the Internet of Things and Machine-to-Machine communications, this increase is expected to exceed the current available capacity, and higher frequency bands will also need to be adopted. Serious consideration is being given to the 60 GHz Industrial, Scientific, and Medical (ISM) band by the Wireless Gigabit Alliance (WiGig) to develop and promote the adoption of multi-gigabit speed wireless communication technology based on the IEEE 802.11ad protocol, and by industry involved in developing fifth generation (5G) communication systems. These systems will require the development of antenna array technology with beam scanning capability, since high-gain (narrow beam) patterns that can be steered to track mobile devices, or change shape to reduce interference will be needed. This paper presents the design of a tapered slot antenna, known as a balanced antipodal Vivaldi antenna, and is seen to be a promising candidate for 60 GHz wireless communications. An apparatus based on the split-post dielectric resonator was designed and verified for the purpose of measuring the microwave properties of optically sensitive materials. The apparatus was then used to confirm that a material consisting of micro sized photoconductive particles added to an insulating polymer would show an increase in the effective dielectric constant while under optical illumination. The semiconductor-polymer composite showed a change in dielectric constant and dielectric loss tangent from 5.5 to 6.1 and 0.05 to 0.09 respectively. This letter describes the design and implementation of a highly linear, ultra-broadband non-uniform asymmetric distributed MMIC power amplifier in GaN, delivering 1 W of output power and suitable for operation at frequencies up to 6.5 GHz. The GaN HFETs used here have a gate length of 500 nm, and breakdown-voltages exceeding 100 V while exhibiting an fT of approximately 30 GHz. A non-uniform asymmetric distributed topology is used to achieve ultra-broadband performance. CW measurements carried out at nominal bias between 0.5 GHz and 6.5 GHz yielded a maximum PAE of 38.1% at 0.5 GHz, with PAE higher than 20% over the entire band, while achieving Pout > 30 dBm. Nanoantennas are key optical components for several applications including photodetection and biosensing. Here we present an array of metal nano-dipoles supporting surface plasmon polaritons (SPPs) integrated into a silicon-based Schottky-contact photodetector. For the first time, a dosimeter employing two floating gate radiation field effect transistors (FGRADFET) and operating at mere 0.1 V is presented. The novel dosimeter requires no power during irradiation and consumes only 1 during readout. Besides the low power operation, structural changes at the device level have enhanced the sensitivity of the dosimeter considerably as compared to previous designs. The dosimeter is integrated with a wireless transmitter chip, thus eliminating all unwanted communication and power cables. It has been realized monolithically in DALSA's 0.8 complementary metal-oxide-semiconductor process and characterized with X-ray and γ-ray sources. A novel System-on-Package (SoP) implementation is presented for a transmitter (TX) module which makes use of electromagnetic coupling between the TX chip and the package antenna. The TX chip is realized in 0.13 μm CMOS process and comprises an on-chip antenna, which serves as the oscillator's inductor as well. The TX chip is housed in a Low Temperature Co-fired Ceramic (LTCC) package with a patch antenna. The on-chip antenna feeds the LTCC patch antenna through aperture coupling, thus negating the need for RF buffer amplifiers, matching elements, baluns, bond wires and package transmission lines. This is the first ever demonstration of wireless-interconnect between on-chip and package antennas which increases the gain and range of the TX module manyfold with respect to the on-chip antenna alone.